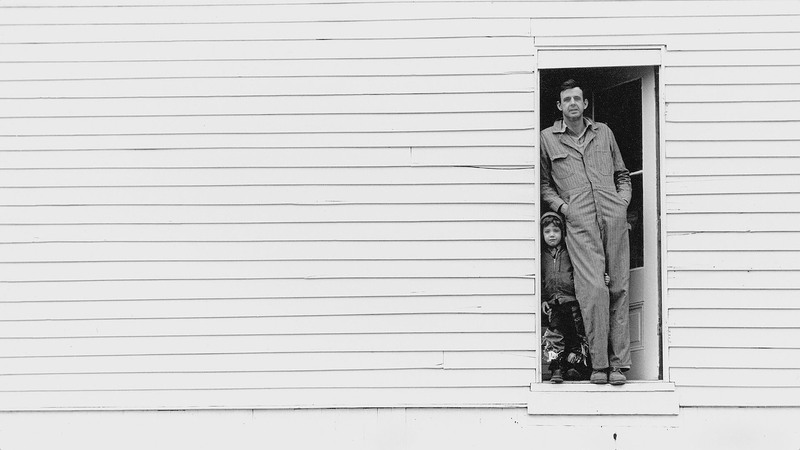 Still image from the film "Look and See: A Portrait of Wendell Berry". We have largely forgotten a way of life in which Americans defined themselves by community, family, craft and religion. Few of us have known a poor man who owned his own tools for his trade or a working-class woman who ate from her own garden. We have forgotten what a craftsmanship of risk looks like. And yet as recently as my grandparents’ generation, half of Americans owned small businesses or lived off the land. I was reminded of this watching Laura Dunn’s documentary, “Look & See: A Portrait of Wendell Berry,” which brings its viewers into the landscape, both interior and exterior, of the author, farmer and environmental activist. One of Berry’s poems, “Sabbaths III (Santa Clara Valley),” had been the inspiration for Dunn’s 2007 film “Unforeseen,” and Berry appears twice in the film narrating his poem. Berry is an advocate of small farms, rural communities and Judeo-Christian values like kindness. Tanya Berry defends the everyday acts of handiwork that help us live as humans, rather than as machines. She describes a life well lived as itself a work of art. “Making biscuits can be art,” she says. Though Berry is a Protestant, he embodies Catholic social teaching on economics. He is an advocate of well-distributed productive private property and believes that the small farmer who knows and loves his or her land will take the best care of it. The film does not, however, vilify the hardworking farmers caught up in the agribusiness model. If anything, the viewer empathizes with them as they describe not being able to sleep at night, up to their ears in debt. What American cannot relate? Caught in a vicious cycle, they describe having to work longer and longer hours and lease more and more land to pay for their massive machines and industrial fertilizers, even as they watch their profit margins shrink and come to feel more like managers than farmers. Though Berry is a Protestant, he embodies Catholic social teaching on economics. And yet the film is hopeful, too, as it affirms that words and ideas matter and that it is possible to live a different way. One farmer who switched from growing tobacco for Philip Morris USA to growing organic row crops and running a community-supported agriculture farm ended up making more money in the end because of all the customers who were fans of Wendell Berry, an author the farmer had previously never heard of. My husband and I own a small business, so I have a particular interest in Catholic social teaching and in distributist writers like G. K. Chesterton, Hilaire Belloc, Peter Maurin and Dorothy Day. Distributism is essentially the belief that productive private property should be well distributed rather than concentrated in a few hands or owned collectively. As Chesterton writes, the problem is not too many capitalists but too few. Societies are healthier when more people, so to speak, have skin in the game and when economics serve human relationships, not the other way around. For Catholics, the family is the building block of society, and only if the cells are healthy will the organism flourish; thus the emphasis on family businesses and on working and living side by side. If we think of the work we spend the majority of our lives doing as merely a means to a wage, then we miss out on an important dimension of a fully human life: the need to make, to tend, to create, to foster relationships. Distributist thinking seeks to unite what has been separated, labor and capital, through the ownership of small businesses and farms or through the ownership of tools and a trade or through participation in a guild, so that wealth is not consolidated in the hands of a few wealthy individuals (capitalism) or in the hands of the state (socialism). The life Berry has created and the views he espouses both are in line with this vision and can prove helpful to Catholics, serving as an antidote to the many ills of our time. From a Catholic point of view, maximizing one’s profits can never be the only goal. Despite his many awards and more than 40 published works, Wendell Berry is an author people either love or have never heard of. One of his primary subjects, the decimation (both social and environmental) of rural America, is not interesting, perhaps, to those who consider rural America “flyover country.” But now more than ever we need his prophetic voice to help us find our way back home. Dear Ms. Keating, Thank you for your insightful and timely article on Wendell Berry. Among other things it brings to mind what the late Fr. Walter J. Ong had to say about the root meaning of the word "Catholic." It does not, as in modern popular usage, mean "universal." The Latin "universal" means "turning-as-one," and it implies something uniform and closed in on itself like a circle. The Greek rooted "catholic" is process oriented. It means "throughout-the-whole," like the leavening that results from kneading yeast into many kinds of dough. It implies growth, inclusiveness and particularity. As Andrew Greeley (and others) have pointed out, the Catholic imagination is not "either-or" but "both-and." The "and" suggests that there is "more" available to choose from than just "this" or "that." Your contrast between Berry's approach (not his uniquely) and the drive for the homogeneity of big industrial capitalism and big totalistic statism invites us to contemplate alternatives for breaking the political and social deadlocks that are characteristic of our times. Beautifully done! This article also appeared in print, under the headline "Wendell Berry: a yeoman farmer and voice for rural America ," in the October 16, 2017 issue. Anna Keating co-owns and lives above Keating Woodworks, a handmade furniture studio. She is a chaplain at Colorado College and the co-author of The Catholic Catalogue: A Field Guide to the Daily Acts that Make Up a Catholic Life (Penguin Random House).